Since FEMA (Federal Emergency Management Agency) updated its flood-zone maps after Superstorm Sandy, we learned that it could cost the city $5 billion to comply with the new regulations, as 60,000 additional buildings were identified as being within the flood zones. This brings the total to 84,000 buildings worth over $129 billion, according to a new report released by the Office of New York City Comptroller Scott Stringer on the two-year anniversary of Hurricane Sandy. According to the report, the percentage of homes identified as “at risk of sever flooding” has increased 120% since 2010. In Brooklyn, the jump is almost 200%, or $36 billion worth of real estate, up from $12 billion just four years ago. The Bronx has the smallest increase at 36%. Scientists and researchers say that the biggest contributor to increased flood risk is the rising sea level. New York’s has risen an entire foot since 1900. The city’s waters were five feet above usual low tide levels when Sandy arrived, which pushed levels up an additional nine feet, sending surges of 14 feet onto land. 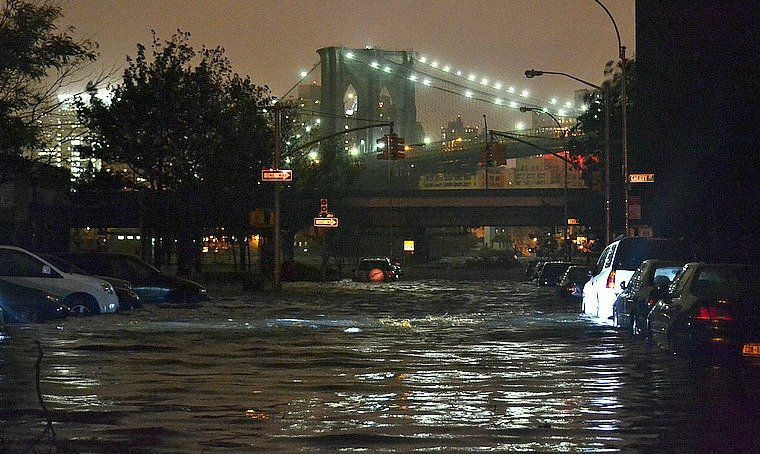 Even storms less intense than Sandy could cause major flooding in the city, especially since the New York City Panel on Climate Change predicts that sea levels will rise between 11 and 31 inches by 2050. Those properties included in the flood zones are only in areas “at risk from a 100-year storm,” meaning they have a 1% chance per year of getting flooded. 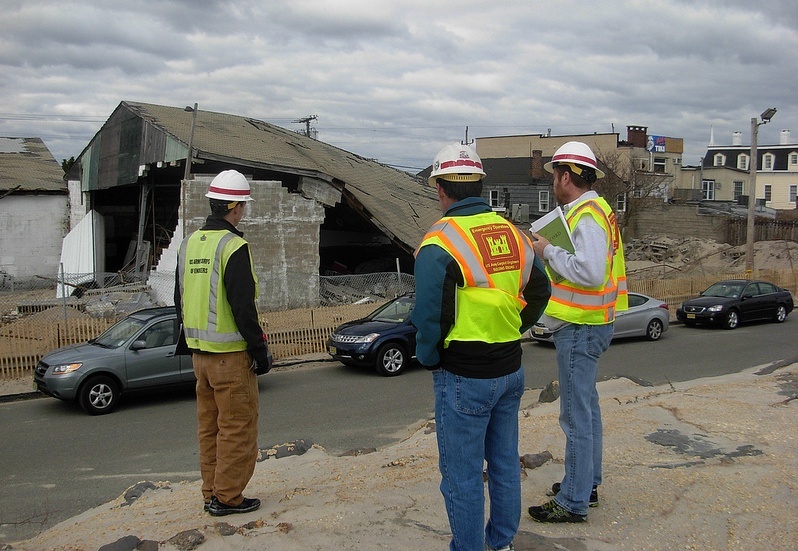 A report by the National Resources Defense Council (NRDC) asserts that 65% of the areas flooded during Sandy aren’t listed on FEMA’s flood maps and that the agency is using outdated data that doesn’t account for rising sea levels. Stringer told Vice News: “It’s easy to think that Sandy was a ‘once-in-a-lifetime event,’ but climate science tells us that rises in sea level and more frequent severe weather will put lives, property, and communities at increased risk.” The new FEMA maps will take effect in 2016, and until then, advocates are calling for the agency to revisit their research and criteria.